At some point you probably have been out somewhere and came a across a Doodle dog. However do you think you would be able to decipher the difference between a Golden and a Labradoodle to know which breed of dog it actually is? Well here is the comparison between them. See if you were surprised to learn the difference. Labradoodle is a Poodle and Labrador mix, a Goldendoodle is a Poodle and Golden Retriever mix. Both Labradoodles and Goldendoodles are very well tempered and make great family dogs. However, there are some key differences that might affect your decision between the two. Generally speaking, Goldendoodles tend to have more “zest for life” than Labradoodles. This is a classic trait of Golden Retrievers in general and are unrelentingly happy and tend to be more enthusiastic about everything — from playing fetch to meeting new people. 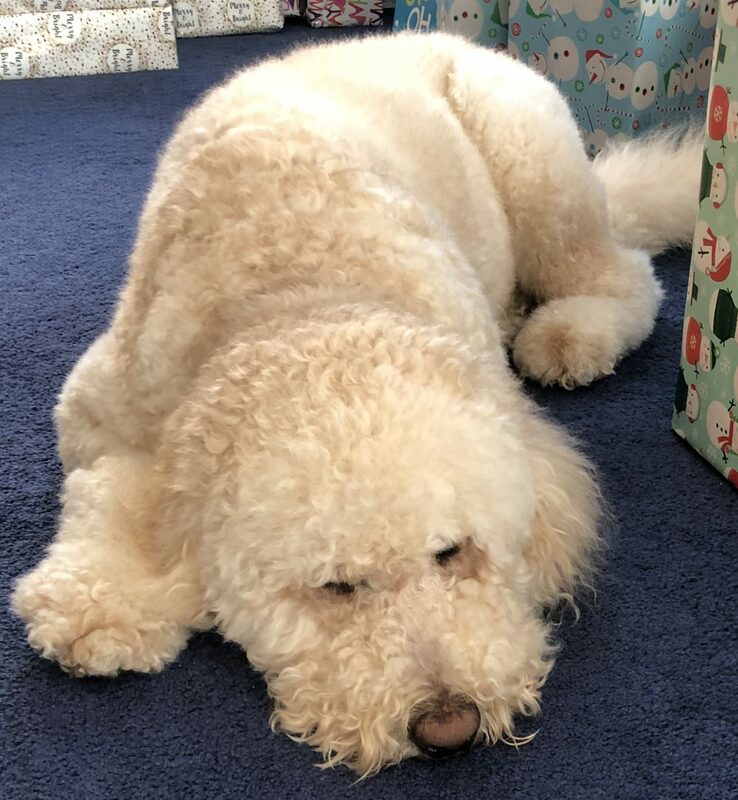 If you were to put a Goldendoodle and a Labradoodle in a room with a new person, you’d notice right away that a Goldendoodle would not hesitate to run up to a new person and say hello, while a Labradoodle would be more stand-offish. Labradoodles are warm friendly dogs it just takes them a little longer to become more playful then a Goldendoodle. Once they do, be ready for lots of licks and puppy dog kisses. lol!! Both Labradoodles and Goldendoodles are considered high-energy dogs. Both dogs are classified as retrievers, so they both love to run and play fetch. They are also very fond of swimming. As a result, they need regular exercise to avoid behavioral problems that tend to result from bored (and highly intelligent) dogs. In any case, there is not much difference between Labradoodles and Goldendoodles when it comes to energy levels. If you want a dog who will lazily lay around the house all day, these breeds are not right for you. Both breeds are exceptionally mild mannered and make great family dogs. Between the two, Labradoodles are generally more protective. Some people might see this as a positive aspect, while others may be concerned about their protective nature crossing the line into aggression. However, Labradoodles are definitely not considered an aggressive breed. While both Labradoodles and Goldendoodles would make for poor guard dogs because of their friendly temperament, they do make pretty good watch dogs. You can count on either breed to bark at new comers as they approach the house in a loud and intimidating manner, just don’t expect them to do anything but kiss the person if they come inside. 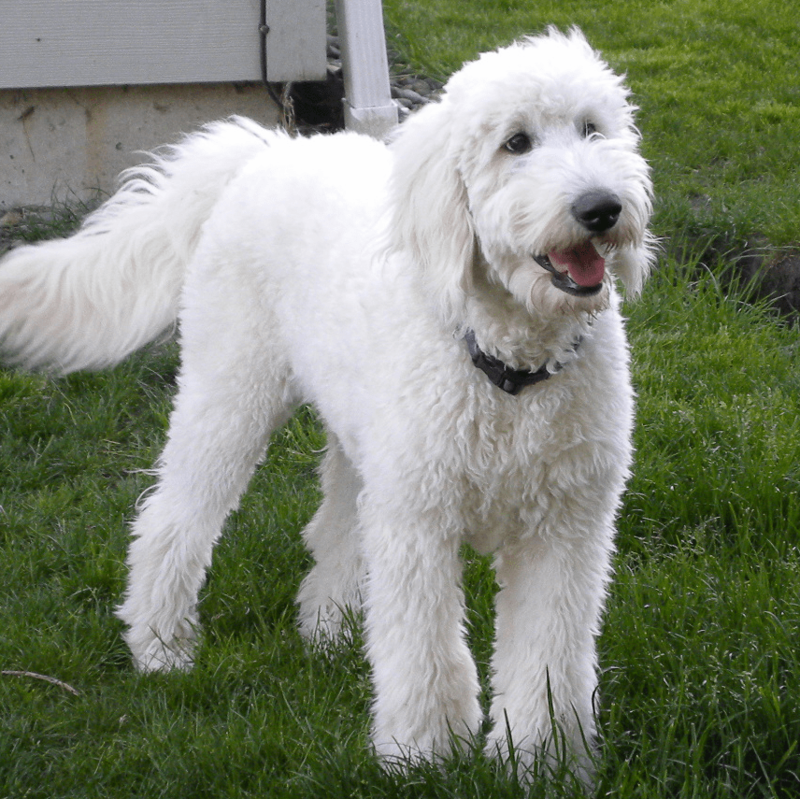 There is not much difference in terms of size between Goldendoodles and Labradoodles, although Labradoodles tend to be slightly larger than Goldendoodles on average. Both have very similar coats, which are typically curly and non-shedding. However, due to the fact that labradors tend to have short and wiry fur, Labradoodle coats are typically not as long and wavy as Goldendoodle coats. Which One is Right For You? 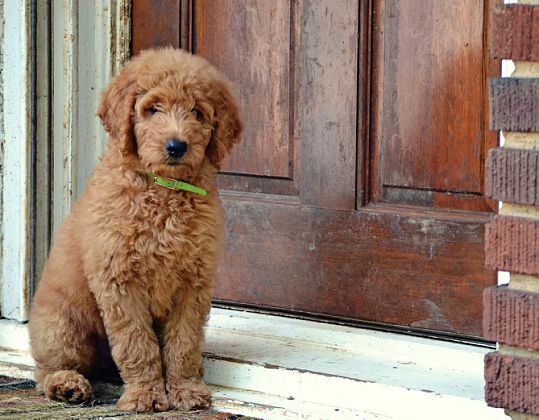 Labradoodle vs. Goldendoodle When it comes to choosing between the two, you really can’t go wrong. Their personality differences are subtle and they have far more in common than not. Owners of both breeds are always head-over-heels in love and rarely have buyers remorse thinking about their chosen doodle breed.